Peter ‘Doola’ King was a classy rover with a fearless never-say-die attitude and a great goal sense. Peter shared his nickname with his older brothers and carried the mantle well with his achievements in coastal and Tasmanian football. 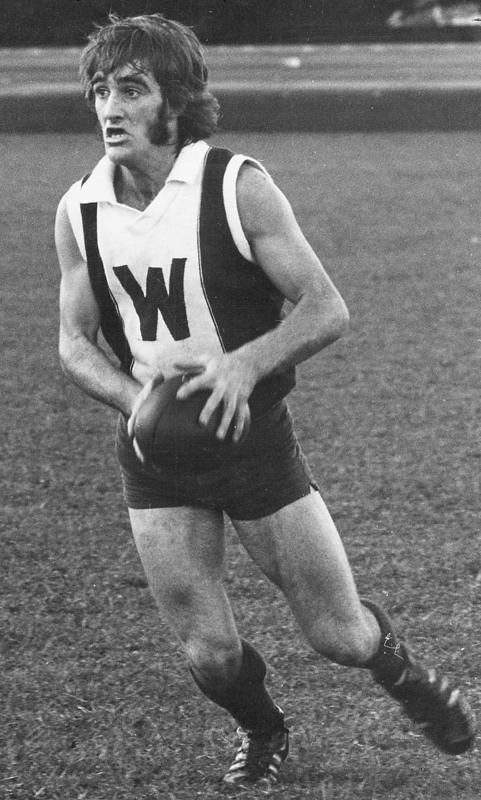 In the mid 1970s he helped his hometown Wynyard to secure what was only its third regional title and then was immediately recruited to Ulverstone as that club sought to break a long premiership drought. The brave and busy rover immediately helped the Robins rise up as the dominant force in Tasmanian football in 1976 as they swept all before them to win both the NWFU and Tasmanian premierships. The Robins were led by Ricky Graham and had also recruited a Victorian, Gary ‘Tex’ Marshall, who became the leading ruckman in Tasmania. Ulverstone with Marshall and King dominating the midfield and stoppage clearances were well placed to make their charge and they duly did so. Peter King became a regular state player in the mid 1970s and was highly regarded for his ball-winning ability and goal sense at state level also. As his playing days in Tasmania drew to a close, King coached the Ulverstone reserves to the NWFU reserves premiership in 1980. He then moved to Albury in NSW and dominated for Lavington in the strong Ovens and Murray League for a decade and then coached for a further ten years in country NSW. Peter King played more than 150 senior games at Lavington, including representing Victoria Country, to bring his total of senior games to more than 300, but he will always be remembered in Tasmania for his achievement in playing in back-to-back premierships, but with different NWFU clubs, and for carrying the ‘Doola’ mantle one last time in north-west football.